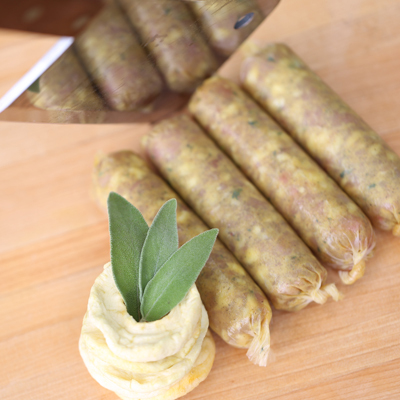 This sausage combines rabbit, wine, mustard, thyme and spices to provide a sweet, mild and juicy freshness. 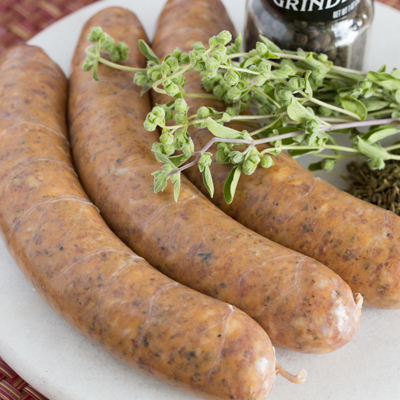 This brat unites veal, pork, with layers of nutmeg and ginger. 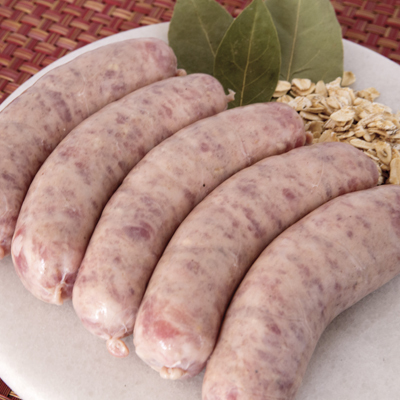 Normandy inspired, this banger is a mixture of pork with toasted oats, bay leaf and white pepper. 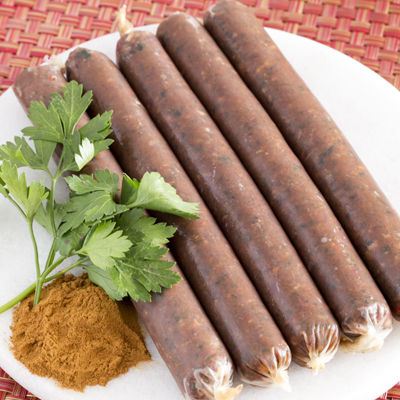 A mild sausage bursting with huge flavor. 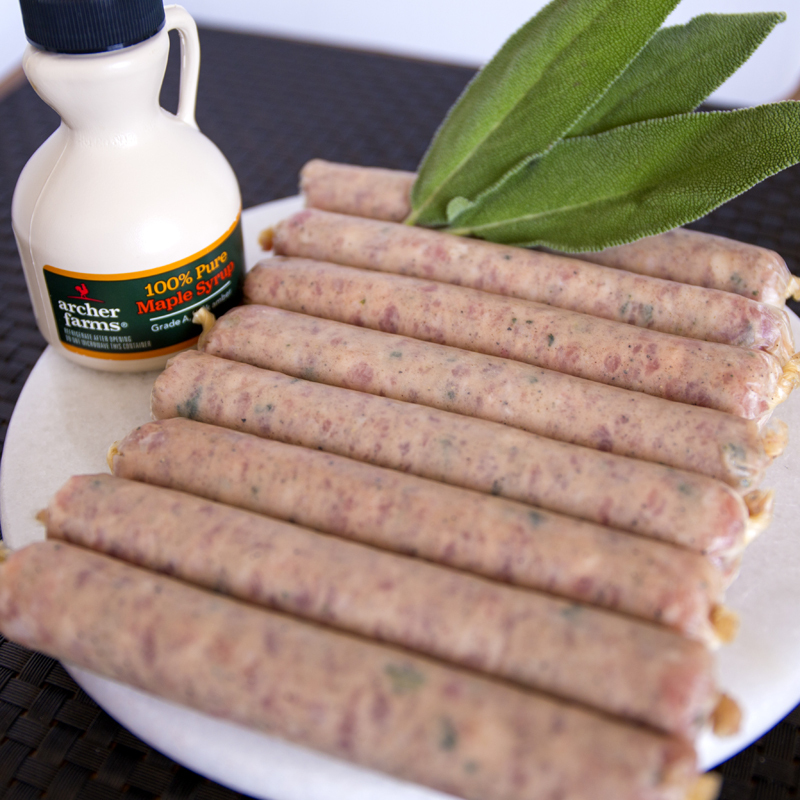 The three deuces, maple, molasses, white and black pepper, fresh & dry sage. 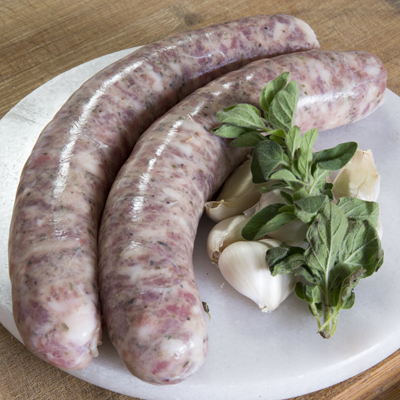 Made with fresh garlic , pork, and tarragon. 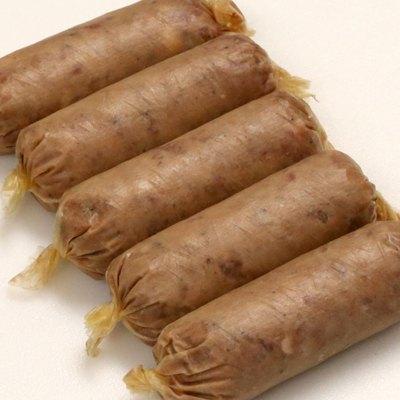 This sausage was first found at the markets of Toulouse (France) at the end of the 18th century. 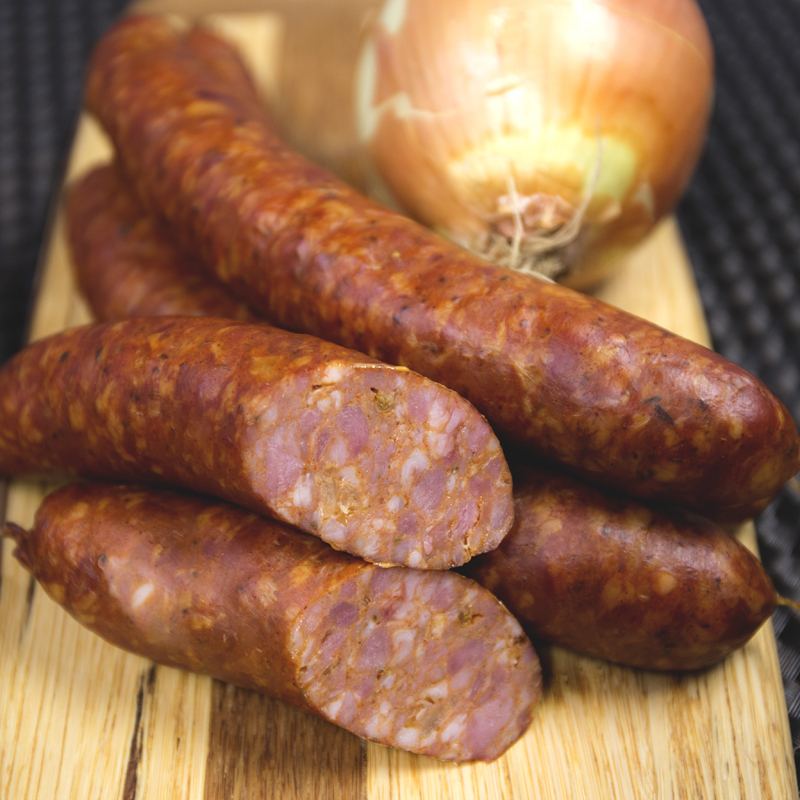 This classic polish family recipe has been handed down carefully from Chef Stachowski's ancestors. 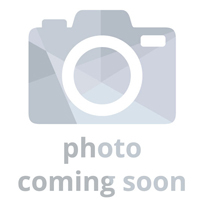 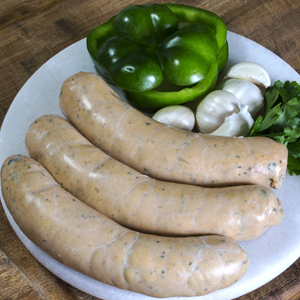 A mild Italian sausage, which is flavored with garlic, fennel seed, and sweet paprika. 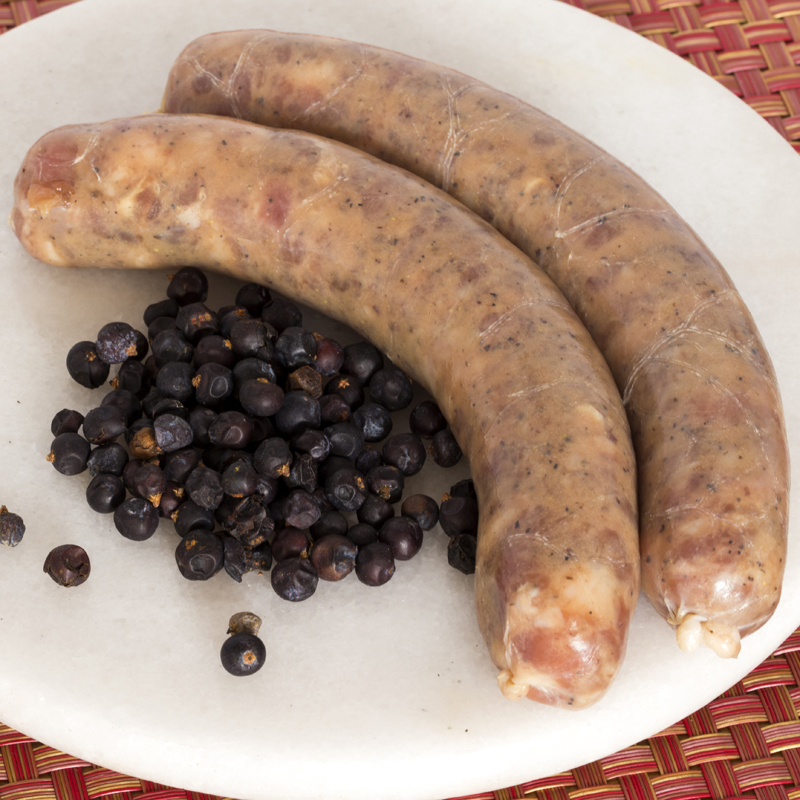 A spicy Italian sausage, which has a shake or two of crushed chili peppers, fennel, and sweet paprika. 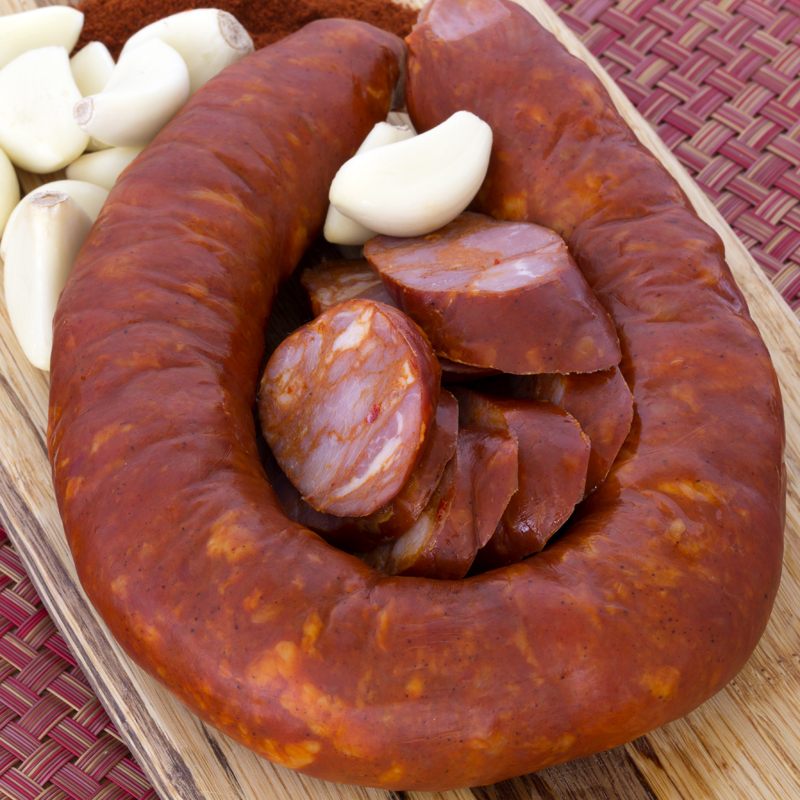 Don't confuse Mexican chorizo, which needs to be cooked, with Spanish chorizo, which is dry-cured. 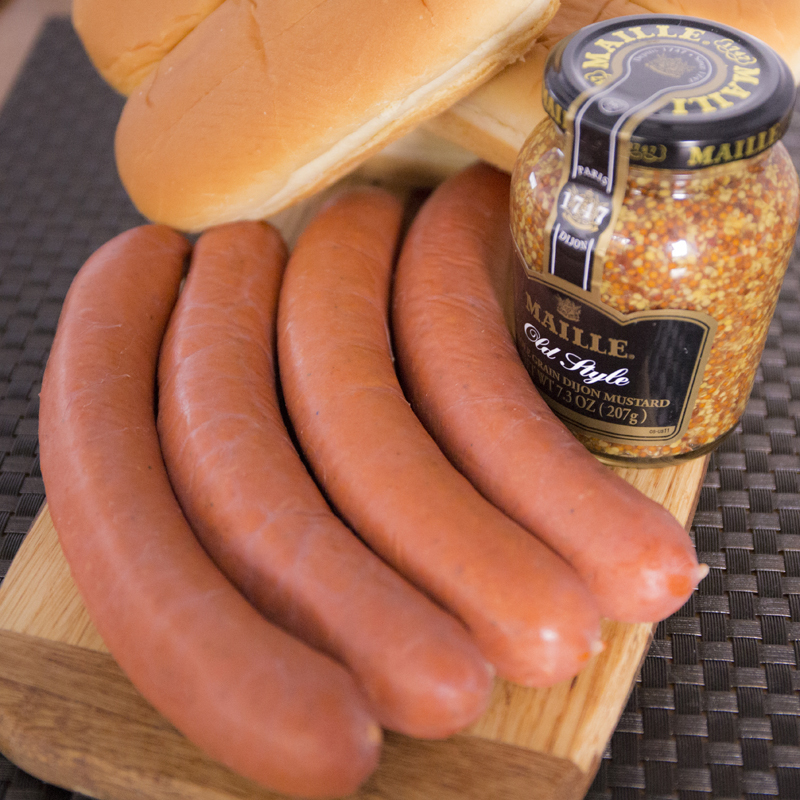 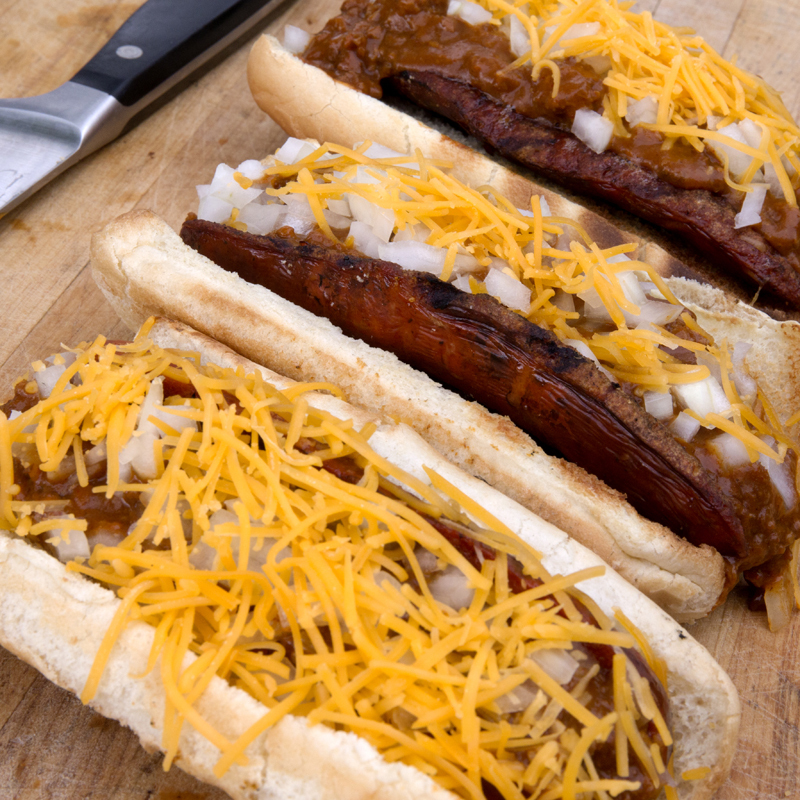 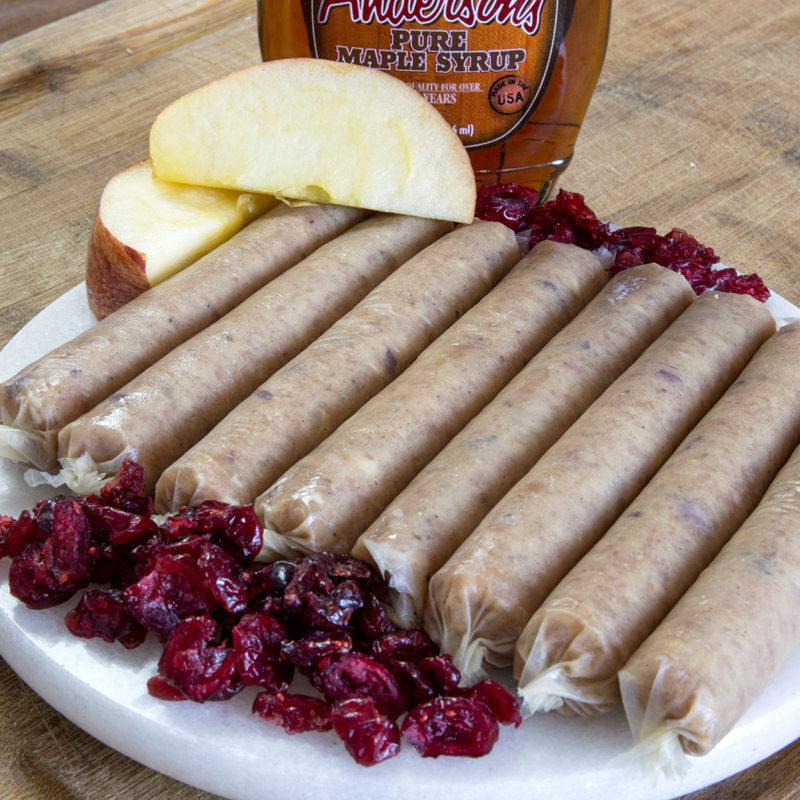 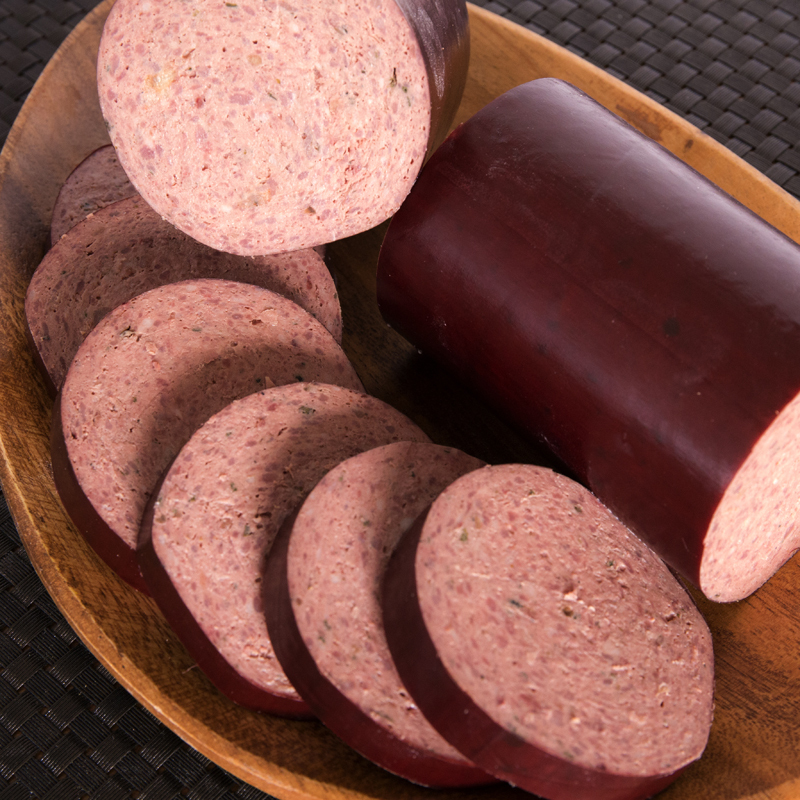 We have taken our famous Knockwurst and added our hand cut applewood, house smoked bacon. 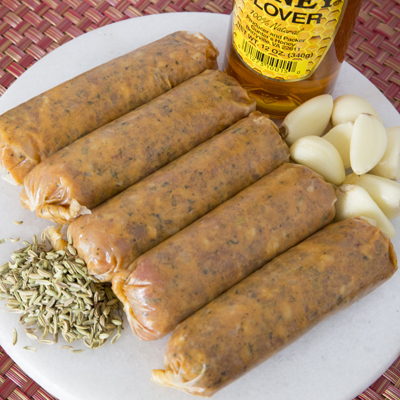 Enjoy this traditional pork liver and onion delicacy on rye with ground mustard. 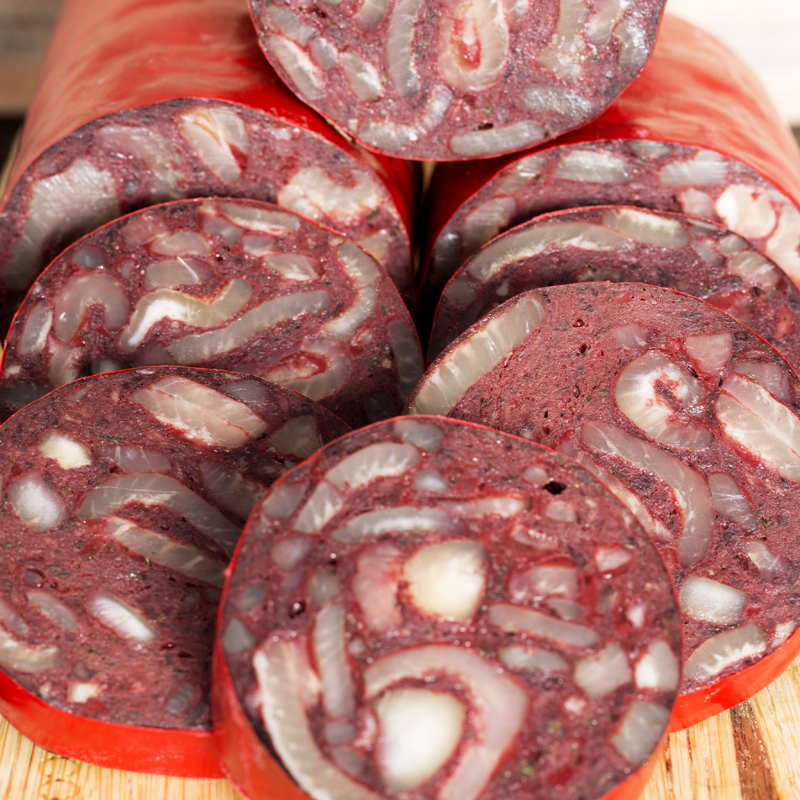 A dark hued sausage containing fresh pork blood, head, trotters, apple and onion. 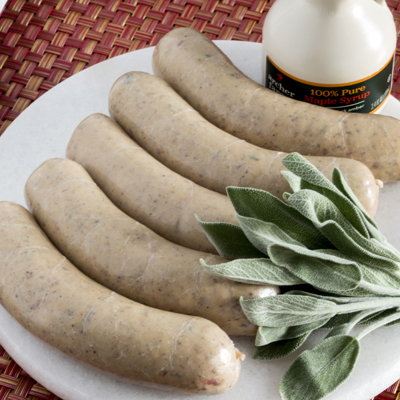 Boudin is one of most unique, tasty and distinctly virtuous regional specialties in America ... confit pork with rice. 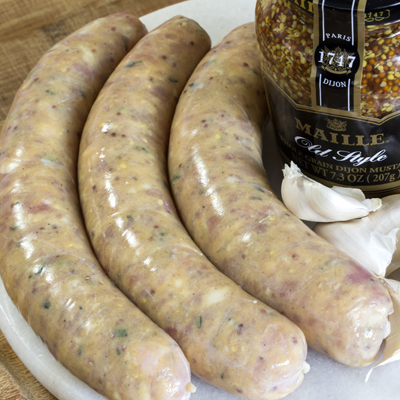 A special holiday boudin with truffles and Foie Gras, so elegant. 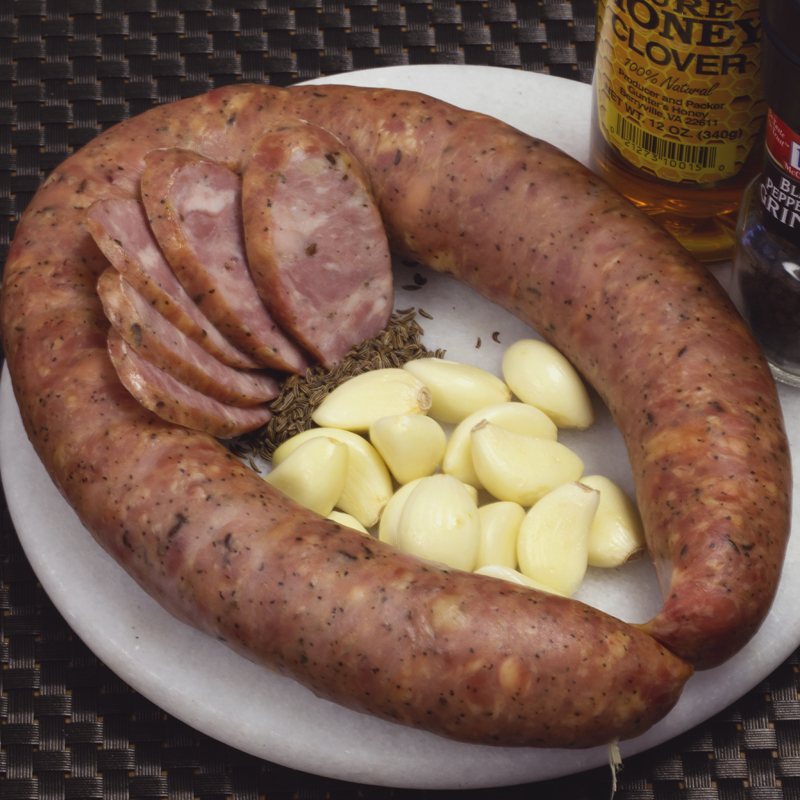 The Half-Smoke sausage is a Washington, D.C. delicacy. 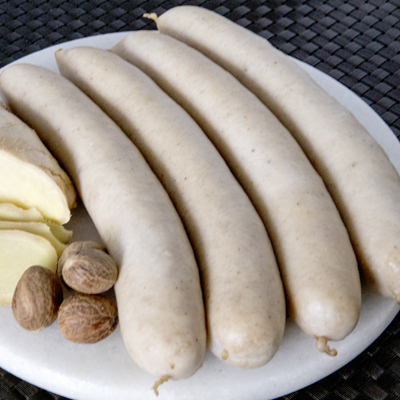 This Austrian style weisswurst, with veal, pork and cream will melt in your mouth. 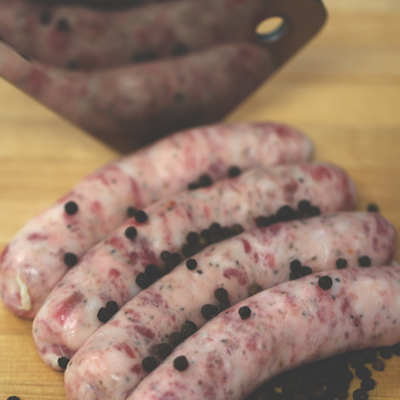 A delicate amount of smoke compliments the sweetness of port and the floral/woodsy notes of juniper. 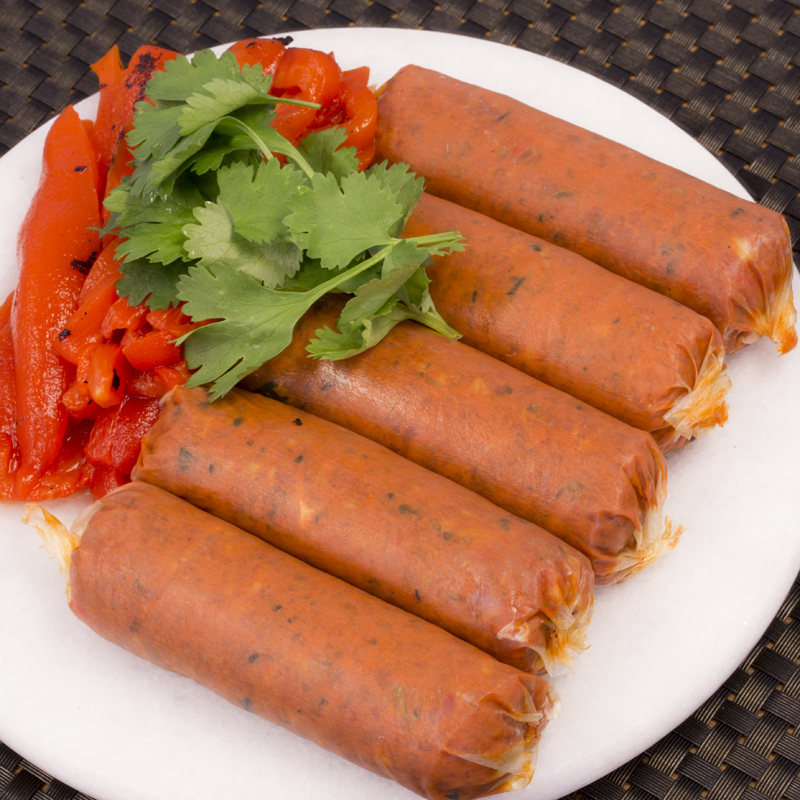 Not your typical beef frankfurter, this lightly spiced red hot, would have any self proclaimed "hot dog" aficionado barking for more. 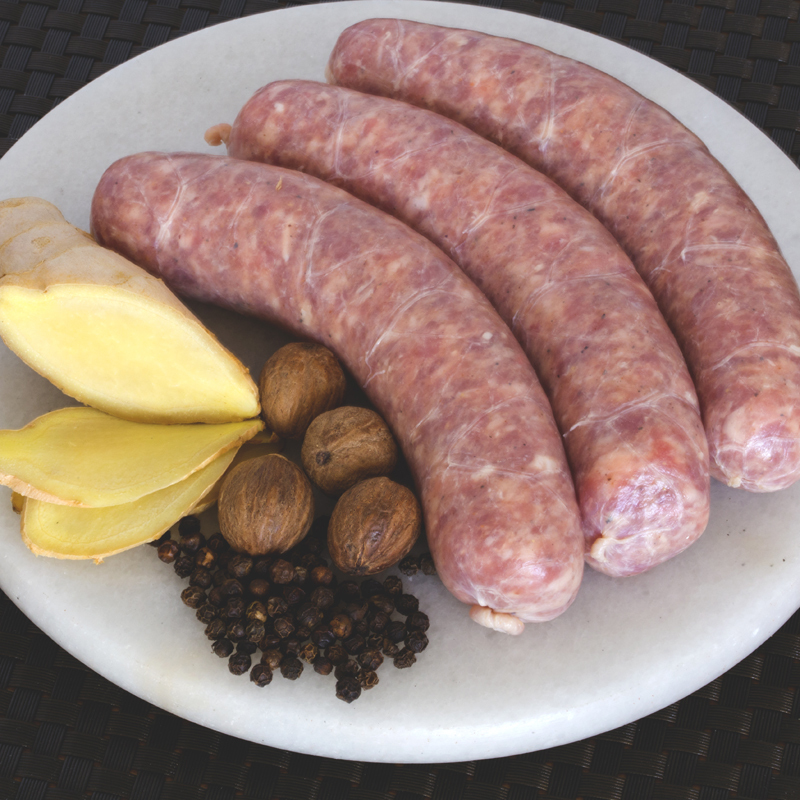 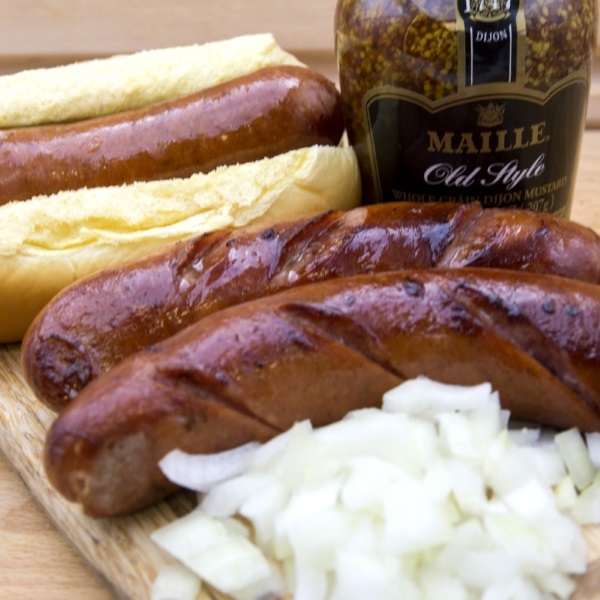 This Krakow style sausage is made with choice cuts of lean pork, seasoned with garlic, caraway and black pepper. 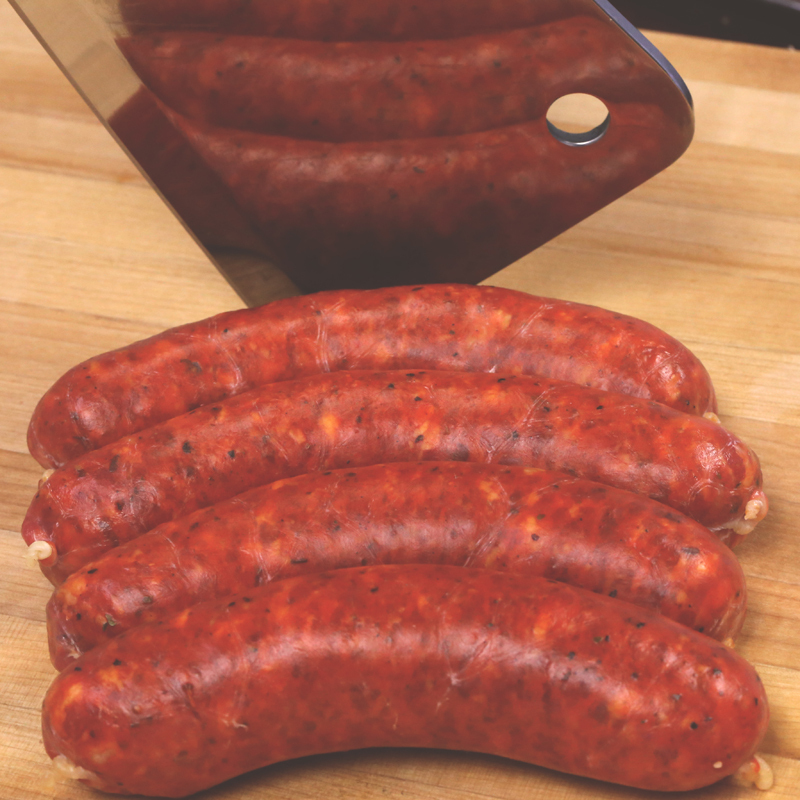 This smoked pork sausage, uses a blend of sherry, paprika, cumin and a dash of red pepper. 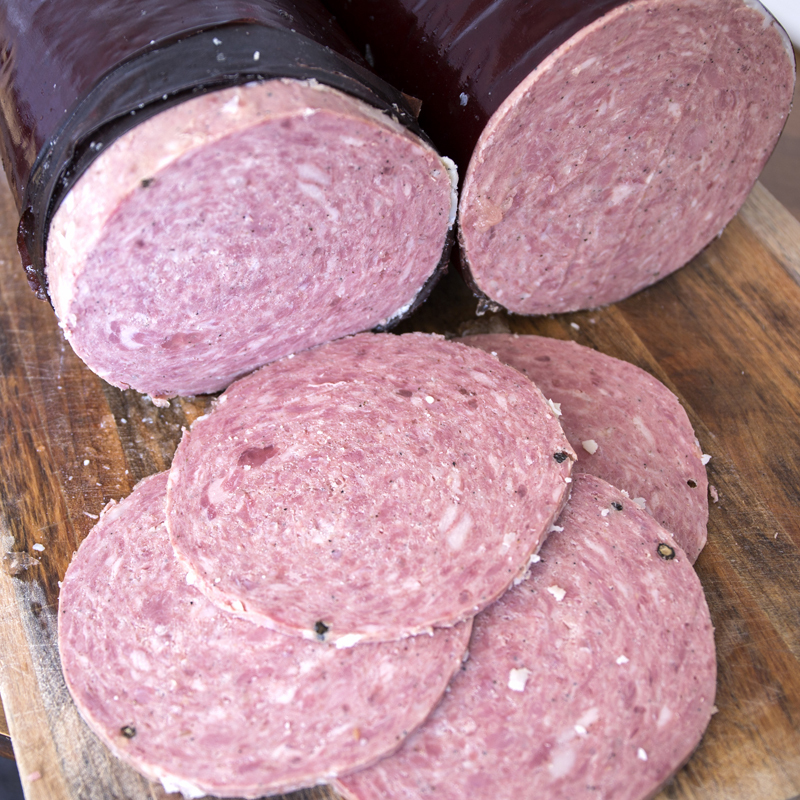 Smoked lamb and pork, with orange zest and a hint of cumin. 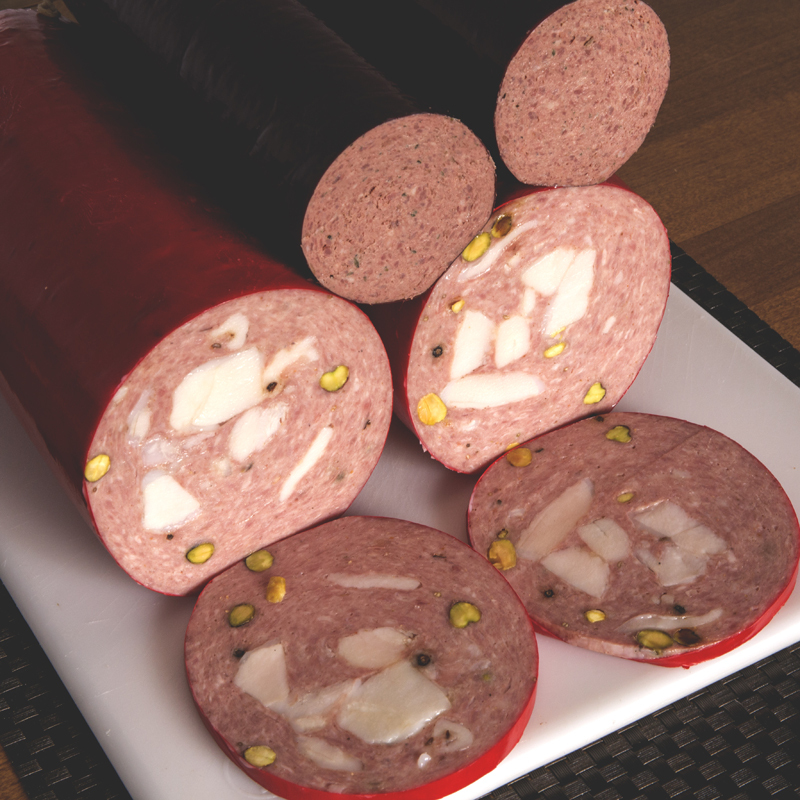 Beef and pork fermented and smoked with white wine and cardamom. 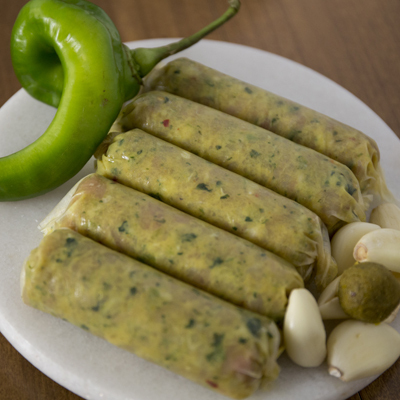 This Italian favorite is flavored with spices, including whole or ground pepper, cloves, and pistachios. 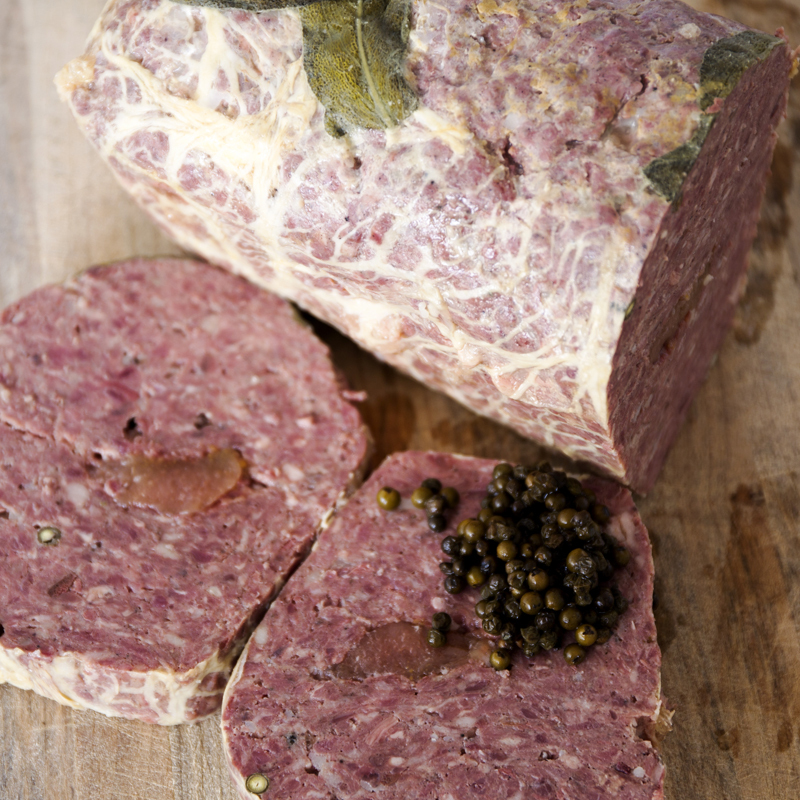 Classic country pate made with pork, parsley, garlic, and cognac soaked prune wrapped in bacon. 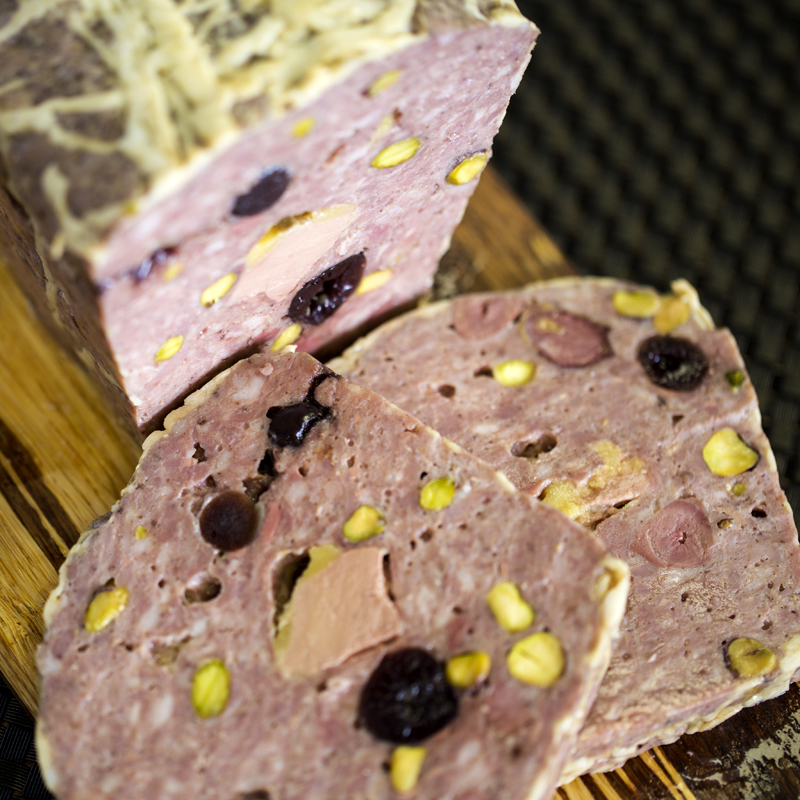 Duck with dark candied cherries, pistachios, and a big chunk of foie gras wrapped in crepinette. 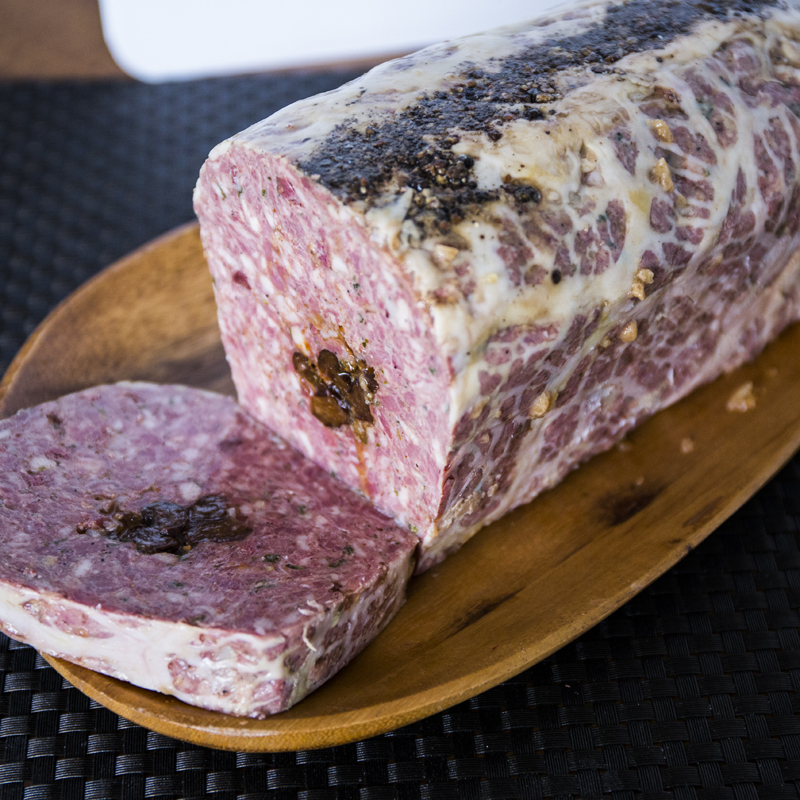 Venison with candied chestnuts, green peppercorn, juniper, merlot, pork with sage garnish.